Part of the attraction was a Star Trek museum. Here are some items from classic Trek. 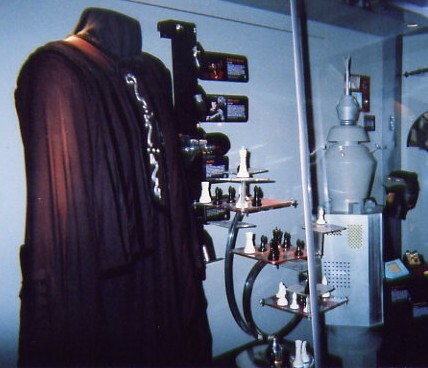 On the left is a Vulcan robe. Spock's 3-D chess set is in the center. On the right is Nomad, the killer machine that was going to "sterilize" the imperfect biological infestation on planet Earth in "The Changeling" before Captain Kirk talked it to death.